Key West – Far From Normal, Close to Perfect. I love this commercial! Every year, especially in the dead of a January winter I wait for it to show up. 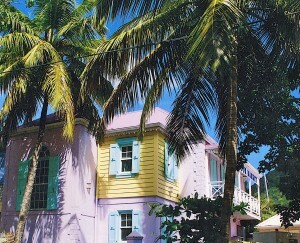 Images of palm trees, sherbert colored cottages. magnificent sunsets,Key Lime pie and conch fritters are a balm to my sun-starved soul. As far as I’m concerned, sight unseen, Key West is more than perfect.Fellow travelers who know of my love affair with the tropics insist that Key West is as close to the Caribbean as I can get in the continental United States. This spring, thanks to an unexpected invitation (it happens a lot) I’ll find out first hand. My first visit to the Conch Republic won’t the four or five day vacation I originally dreamed of, planned and even paid for a few years ago. It was to have been a leisurely drive (a ride, more accurately) beginning in Miami. Then we’d travel the Overseas Highway through Key Largo, Islamorada, Marathon and Big Pine down to Key West. This trip, however, will be courtesy of a Carnival cruise, but I’m not worried. Even if the cruise line has to hire a team of world-class rowers, trail a barge of port-a-potties on one side and a small ship of chefs on the other, this ship will sail through the Gulf of Mexico without incident. Those few hours on shore will be a preview, a mini-familiarization trip, and the sightseeing equivalent of speed-dating. I’ll pay homage to the master treasure hunter himself with a quick trip through the Mel Fisher Maritime Museum. Among its many treasures, the museum houses “The Last Slave Ship” and artifacts from the Henrietta Marie, a ship that went down off the Florida coast after the sale of 190 Africans on the island of Jamaica. There will be time for picture-taking. Those of you who know me well are nodding right now. You’ve proven your friendship many times over by pulling over next to cornfields, driving down country roads or stopping dead center of a bridge for me to capture that perfect shot. (I wish the perfect shot I’ve included in this post was authentically Key West, but this is Soper’s Hole on the British Virgin island of Tortola. Since I only use my own photos, it was as “close to perfectly” Key West as I could get. 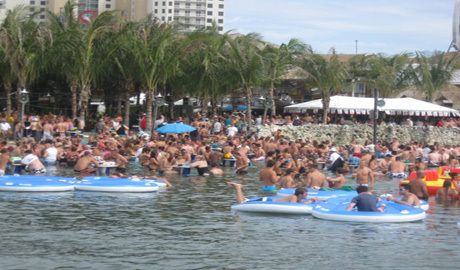 :) I’ll find my way over to the Bahama Village and take in a few blocks of Duval Street . No trip to Key West, no matter how brief, would be complete without a meal of conch fritters, key lime pie and .a cold beer, looking out over the water route to the Caribbean. Next time I’ll stay in one of those uniquely Key West bed and breakfasts attached to a beautiful garden. I know I’ll walk in and out of shops and galleries the entire length of Duval Street. There might be a boat ride in my future trip to the Keys. Without question my camera and I will witness each sunrise and especially the sunsets from Mallory Square. As far as Key West food, I’ll repeat my performance from every island I’ve visited. That means indulge, explore, enjoy. I do know that there will be conch – every day. Who knows? By the time the week is over I just might pass the test and take the oath of citizenship in the Conch Republic of Key West. To the delight of Civil War buffs, lovers of history and good movies, Steven Spielberg’s Lincoln will open in wide release on November 16, 2012. The movie chronicles Abraham Lincoln’s push to end the Civil War, to preserve the Union and to abolish the institution of slavery. Lincoln boasts an all-star cast with Daniel Day Lewis as Lincoln, Sally Fields as Mary Todd Lincoln and Tommy Lee Jones as Radical Republican Thaddeus Stevens. On November 19, 1863, at the dedication of the Soldier’s National Cemetery in Gettysburg, Pennsylvania, Lincoln delivered what became known as the Gettysburg Address. On November 19, 1946, the anniversary of Lincoln’s speech was designated “Dedication Day” by the U.S. Senate and House of Representatives. November 19, 2012 marks the 149th anniversary of that iconic speech. This year, three days after Lincoln’s release in theaters across the country, director Steven Spielberg will deliver the Dedication Day keynote address. The event begins with a wreath-laying ceremony at 9:30 a.m.
.Spielberg’s speech is one of many events scheduled to commemorate Lincoln’s address and the dedication of the Soldiers’ National Cemetery. 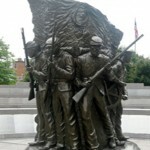 A parade of Civil War groups and re-enactors will march through Gettysburg to the Grand Army of the Republic Monument in honor of Union Army soldiers. Candles will be placed on the graves in the Civil War section of the Soldiers` National Cemetery at Gettysburg. Savannah, Georgia is the perfect city for seekers of the spirits. 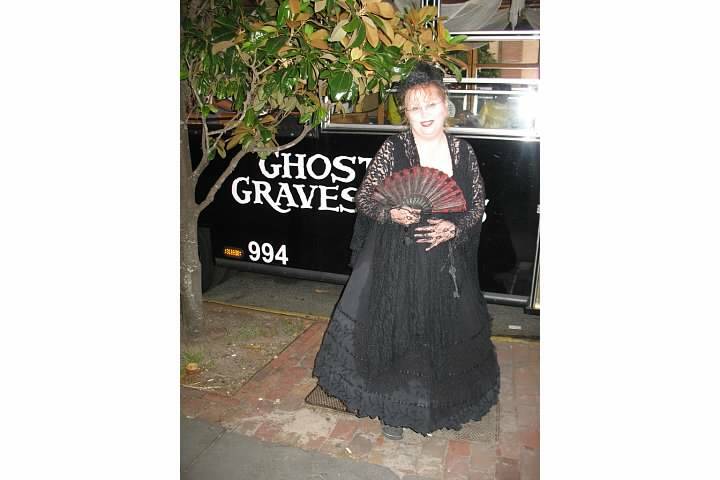 Board the Trolley of the Doomed for a “Frightseeing Tour” on River Street and through the city's graveyards and haunted houses. 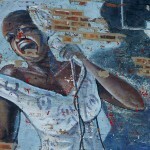 It's called The Second City, but Chicago boasts a first-class jazz scene. 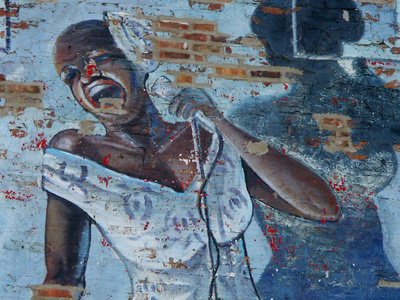 If you love the sound and you're in Chicago, check these recommendations. They're straight from a jazz-loving citizen of Chicagoland. 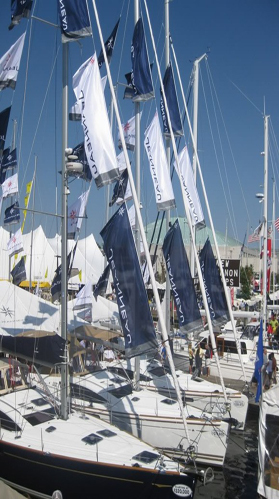 This was the United States Sailboat Show - the big daddy of all sailboat shows. 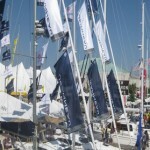 Call it Fashion Week for serious boat-buyers, window shoppers and dreamers. 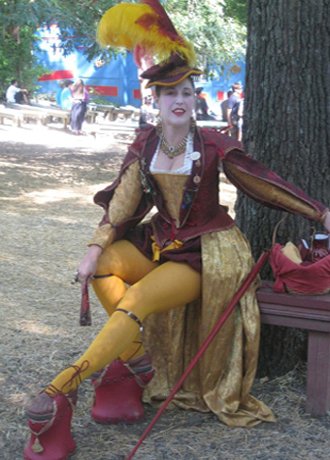 At the Renaissance Festival, lords and ladies of the realm stroll in splendid velvet and brocade finery alongside flamboyant characters,faeries, ladies-in-waiting, pirates, knights, tavern wenches and rogues. For American history buffs, 2012 is a significant year in our nation’s history. 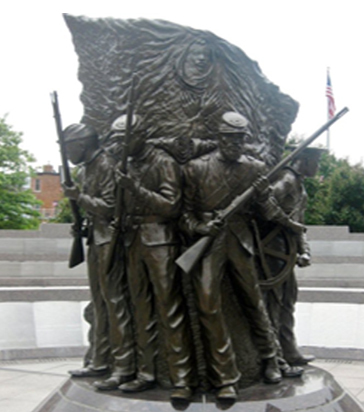 It marks the 150th anniversary of the Civil War and for African Americans, the "Glorious March to Liberty.." If an American history road trip is a part of your fall travel plans, consider a visit to these locations. 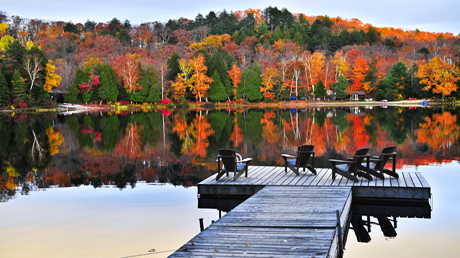 When the seasons, the weather and the leaves change, the leaf-peepers come out to play. They head for the hills, valleys and forests to view autumn foliage in all its colorful splendor. Labor Day Weekend-say farewell to summer at Myrtle Beach, South Carolina, Ocean City, Maryland, at the Chicago Jazz Festival or the Sonoma Wine Country Weekend. 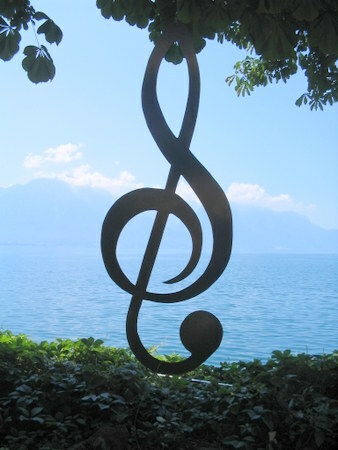 I’ve enjoyed world-class jazz in tourist destinations and exotic, romantic settings such as the Umbria Jazz Festival in Perugia, Italy and the Pori in Finland. 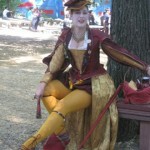 My first andlong-time favorite was the Newport (Rhode Island) festival. Then it became the North Sea Jazz Festival. Now my favorite festival takes place in the magnificent city of Montreal.